St. Patrick’s Day is right around the corner! I am going to share a quick and seasonal idea for practicing skip counting. Plus, it is hands-on and builds fine motor skills! Kindergarten teachers could adapt this idea by just making the cards to count by 1s or by 10s. 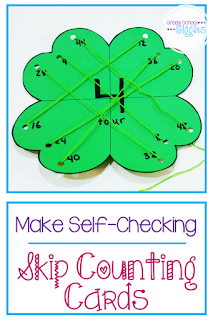 Teachers of older grades can challenge their students to count by 11 or 12. It’s flexible and easy to differentiate! 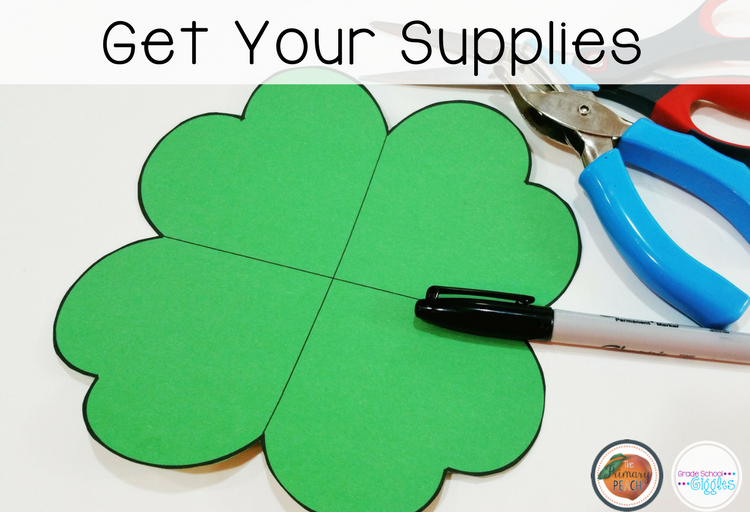 The first thing you’ll need to do is gather your supplies. You probably already have them all. Draw (or print the template) a four leaf clovers on the green paper. Make sure they are big enough to fill up most of the sheet. (They are easy to draw. Just draw four hearts with the tips touching.) Cut out the clovers. Be sure not to cut them all the way to the center. 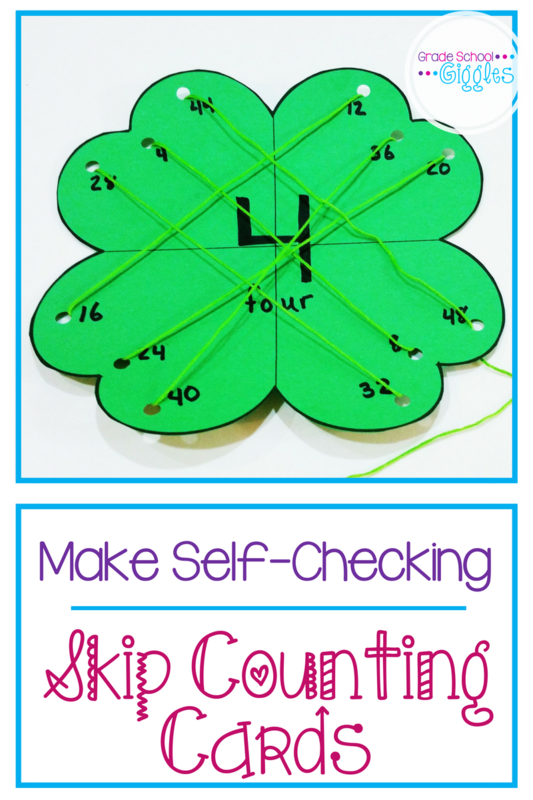 Next, write the number you want your students to skip count by in the center. 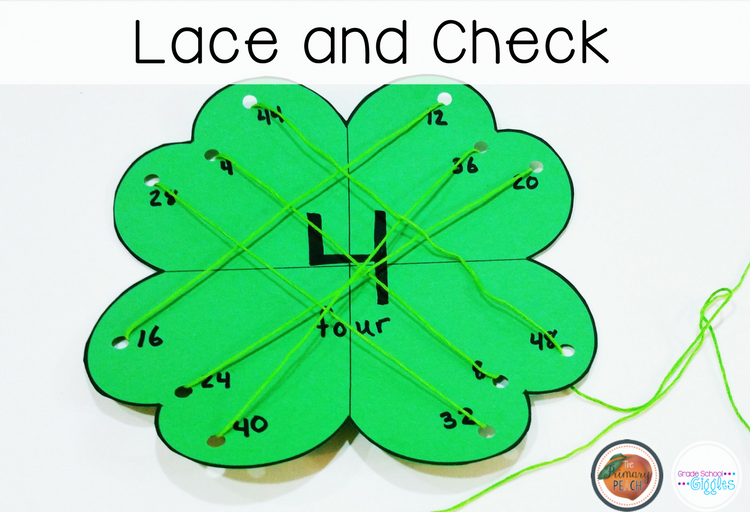 Then, punch 3 holes in each leaf of the clover (12 holes all together). Randomly label the holes with the multiples of the center number. 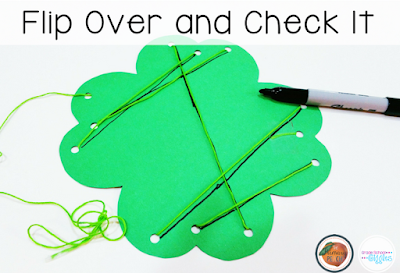 To make the activity self-checking lace the clover, flip it over, and trace along all of the strings on the back. Now, your students can look to see if they laced it correctly. 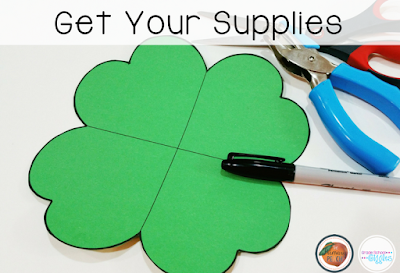 Once you’ve made your skip-counting clovers you will want to laminate them for durability. Alternatively, you could make them from green foam sheets or from green paper plates. 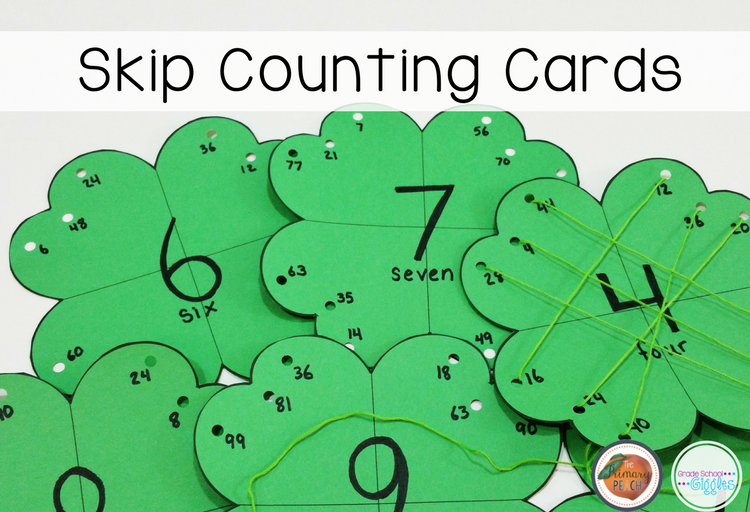 However you make them, they are a great way for your students to practice their skip-counting and to prepare for multiplication.